The historical romance Dearest Friends retells Jane Austen’s Pride and Prejudice as a sensual adventure that will delight a modern audience. Fitzwilliam Darcy left Hertfordshire following a friend’s betrayal, but his heart remained with Elizabeth Bennet, the impertinent beauty who captured his attention in ways no woman ever had before. When he encounters her unexpectedly in London, he realizes he can no longer live without her and begins his pursuit for her hand. When he finds that Elizabeth is not free to marry, will he again walk away or will he fight for the lady he loves? While Darcy and Elizabeth pursue their own happiness, around them friendships progress to love and infatuation leads to disappointment. Join a group of unlikely friends as they support our dear couple on their journey, each treading unique paths along the way. 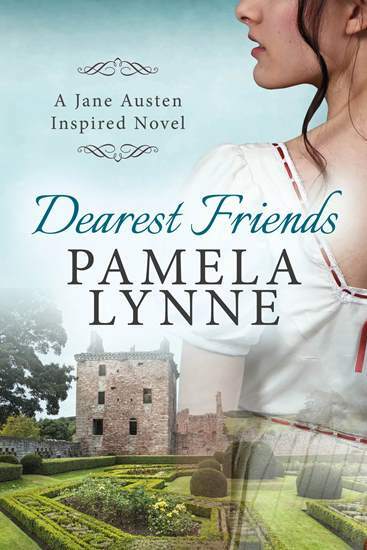 In Dearest Friends, Pamela Lynne drew complex and interesting characters who joined Darcy and Elizabeth on their road to happily ever after. But, what happened after ‘the end’? Did Lydia survive her time at Rosings? Did Jane find fulfillment as Mrs. Bingley? Did Mary and Sebastian adhere to duty or allow their hearts to lead them? Follow the Fitzwilliams, Bennets, Gardiners and Darcys through portraits of their lives at two, five and ten years after the Darcys’ marriage. Their canvas is studded with heartbreaking loss, new beginnings and, through it all, the indelible bond of family. 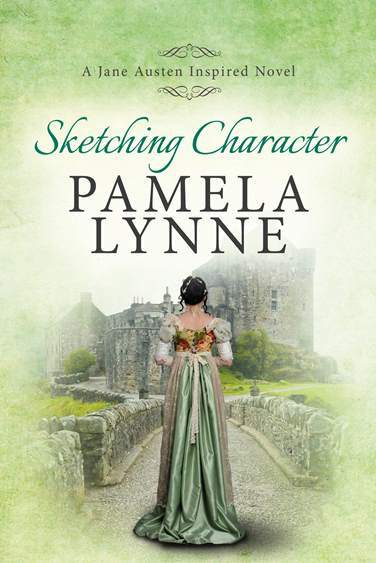 For more information, please visit Pamela Lynne’s website. You can also find her on Facebook, Twitter, and Goodreads. 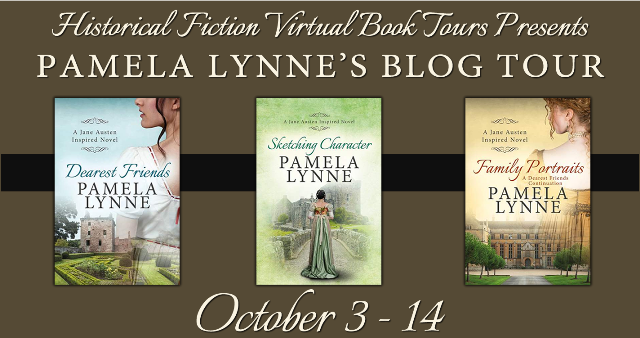 To win a set of all three books by Pamela Lynne, please enter via the Gleam form below. – Giveaway ends at 11:59pm EST on October 14th. You must be 18 or older to enter.